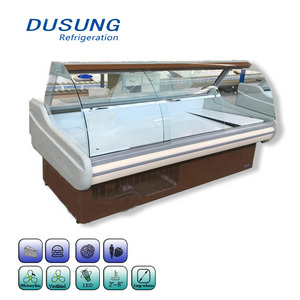 1 YRS Qingdao Dusung Refrigeration Co., Ltd.
&loz; Height-adjustable for stainless steel feet &loz; Removable condenser unit for maintenance free. 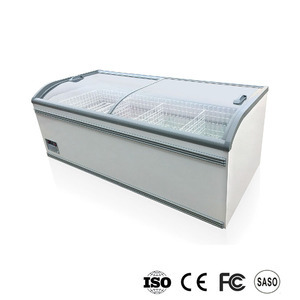 &loz; Defrost water automatic evaporation with hot gas from condenser. 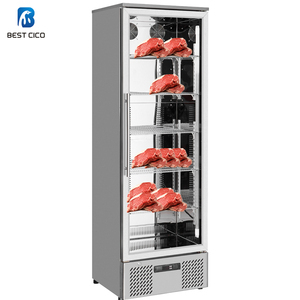 CFC free,density:40 kgs/m 3 &loz; Working temperature and defrost digital control &loz; Forced draught system evaporator &loz; Stainless steel lid are easy to change into glass cover. 1 YRS Hangzhou Zhenuo Refrigeration Equipment Co., Ltd.
11 YRS Guangzhou Shinelong Kitchen Equipment Co., Ltd.
1 YRS Zibo Yudou Trade Co., Ltd.
5 YRS Jiangsu Sanye Freezer Equipment Co., Ltd.
4 YRS Jiangsu Sanye Freezer Equipment Co., Ltd.
3 YRS Guangzhou Snowland Refrigeration Equipment Co., Ltd.
2 YRS Jiangsu Meibaijia Electrical Technology Co., Ltd.
11. Digital controller with temp display screen for precise temp control. 3. We provide custom-made service for the power supply, plug, logo, etc. 6. We have rebate policy for repeat orders within 3 months. 2 YRS Henan Langbo Machinery Manufacturing Co., Ltd.
2 YRS Qingdao Zhuodong Industry And Trade Co., Ltd.
6 YRS Guangzhou Junjian Kitchen Appliances & Refrigeration Equipment Co., Ltd.
1 YRS Guangzhou Teamju Industrial Co., Ltd.
1 YRS Shandong Oberry Commerical And Trading Co., Ltd.
3 YRS Jiangmen Xinhui MayHope Machinery Co., Ltd.
3 YRS Henan Balsen Refrigeration Appliances Co., Ltd.
14 YRS Hangzhou Meisda Electric Appliance Co., Ltd.
4 YRS Guangzhou Oppol Technology Co., Ltd.
Q 1: Are you Supermarket Open Refrigerator Manufacturer or the Trade company 9 We are the factory specialized in the cooler and freezer production for more then 14 years. 3: Can I have our logo or company information on the Supermarket Open Refrigerator 9 Yes , of course , we are the OEM factory and can make based on your request . 4: How long for the warranty for the Supermarket Open Refrigerator 9 The warranty is three years from the day of order confirmed . 1 YRS Qingdao Knadyrong Industry Co., Ltd.
5 YRS Guangdong Green&Health Intelligence Cold Chain Technology Co., Ltd.
2 YRS Guangzhou Junjian Kitchen Appliances & Refrigeration Equipment Co., Ltd.
5. the glass door with heater defrosting, reducing consumption. 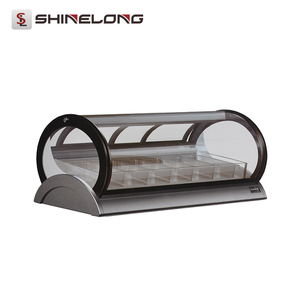 7.Safety glass with heater defrosting and pressure balanced function. 8.Refrigerating or heating or ambient temperature. 3 YRS Hangzhou Meisda Electric Appliance Co., Ltd.
2 YRS Guangzhou INEO Kitchen Equipment Co., Ltd.
9 YRS Zhengzhou Kaixue Cold Chain Co., Ltd. Wide glass pull door make the whole cabinet bright thoroughly. l With bright and colorful lights, the display effect is very good. We have exported around the world such as Southeast Asia, Middle East, South America, Africa and so on. 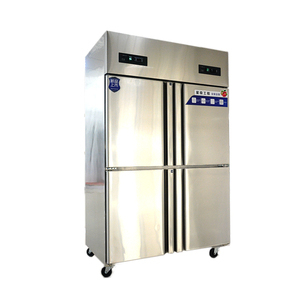 6 YRS Shandong Huajing Glass Co., Ltd.
5 YRS Guangzhou Flishel Refrigeration Equipment Co., Ltd.
1 YRS Guangzhou Lvyuan Refrigeration Equipment Co., Ltd.
4 YRS Jiangsu Qiaoyi Kitchen Utensils Co., Ltd.
Our Refrigerator can keeps fruit and vegetable fresh up to three times longer. 2. Large capacity, easy to store more ingredients. 8. Design with special attention to ergonomics, easy to access. 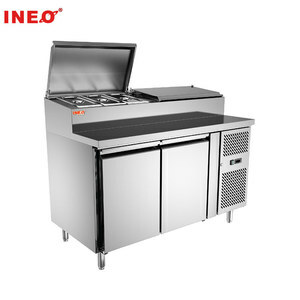 2 YRS Zibo King-Trading Int'l Trade Co., Ltd.
6 YRS Zhengzhou LONGSHENGXI Trading Co., Ltd.
3 YRS Guangzhou Dongpei Catering Equipment Co., Ltd.
3 YRS Foshan Agendas Refrigeration Equipment Co., Ltd.
6 YRS Foshan Nanhai Yuan Bao Nan Kitchen Equipment Co., Ltd.
6 YRS Qingdao Smad Electric Appliances Co., Ltd.
Alibaba.com offers 31,547 commercial refrigeration equipment products. About 43% of these are refrigeration equipment, 3% are cold room, and 2% are other refrigeration & heat exchange equipment. A wide variety of commercial refrigeration equipment options are available to you, such as freezers, display cooler, and air cooler. You can also choose from ce, iso, and ccc. As well as from double-temperature, single-temperature. And whether commercial refrigeration equipment is paid samples, or free samples. 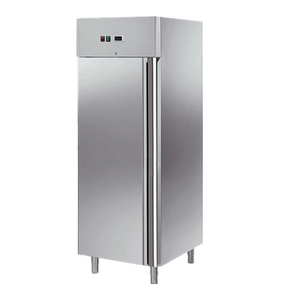 There are 31,547 commercial refrigeration equipment suppliers, mainly located in Asia. 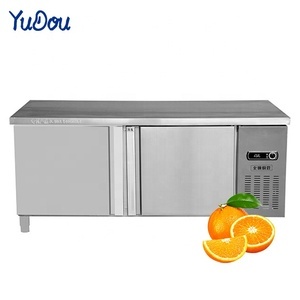 The top supplying country is China (Mainland), which supply 100% of commercial refrigeration equipment respectively. 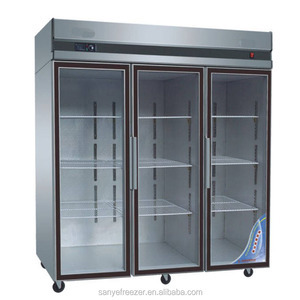 Commercial refrigeration equipment products are most popular in Domestic Market, North America, and Mid East. You can ensure product safety by selecting from certified suppliers, including 8,578 with ISO9001, 2,321 with ISO14001, and 2,314 with Other certification.